Mustard greens is an annual, fast growing, cool-season, nutritious leafy greens vegetable sized 0.5 to 2 feet tall and 1 to 2 feet broad. It is a cool season vegetable that prefers a sunny location. It grows well in well-drained, fertile soil high in organic matter. It has broad, crumpled or flat textured leaves and may have either toothed scalloped, frilled, or lacey edges. Most mustard greens are emerald green in color, while some are not green at all but somewhat shades of dark red or deep purple. 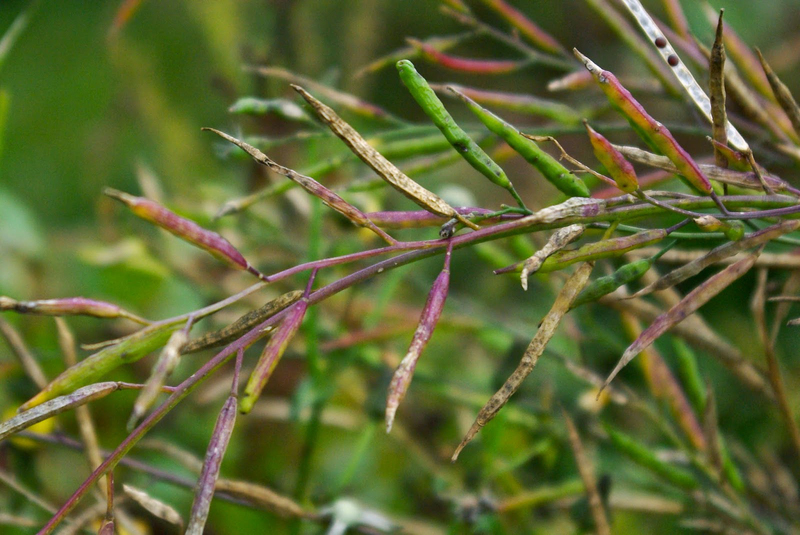 Normally it has golden yellow flowers that later change into sickle-shaped green seed pods that bears acrid tasting small brown mustard seeds. Mustard Greens also known as Indian mustard, Chinese mustard and Leaf Mustard is a part of mustard plant with edible leaves, stem and seeds. Mustard greens have broad, crumpled or flat textured leaves and have either toothed scalloped, frilled, or lacey edges. They are normally emerald green in color, while some are not green at all but somewhat shades of dark red or deep purple. It has spicy, peppery Dijon Mustard flavor and slightly peppery in taste. This green leafy plant is more pungent than the closely related greens cabbage, kale etc. They are numerous varieties of mustard greens, ranging in leaf size and shape and color from green to red to purple. The most common type in the US is bright green with a frilly, ruffled texture. This beautiful color and texture is yet another great reason to include mustard greens into your cooking! Mustard greens have already been grown as well as consumed for over 5000 years now. 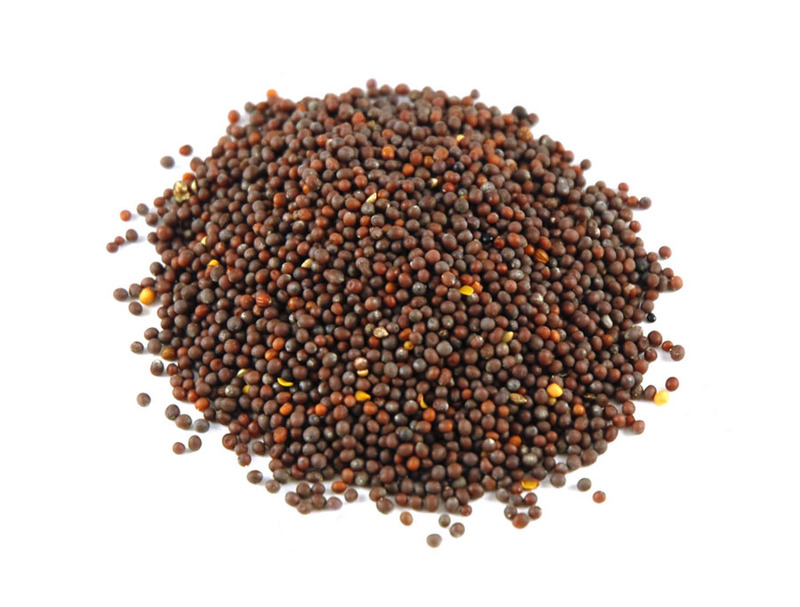 The very first demonstration of utilizing mustard plants within food may be traced back in the Himalayan regions around India. 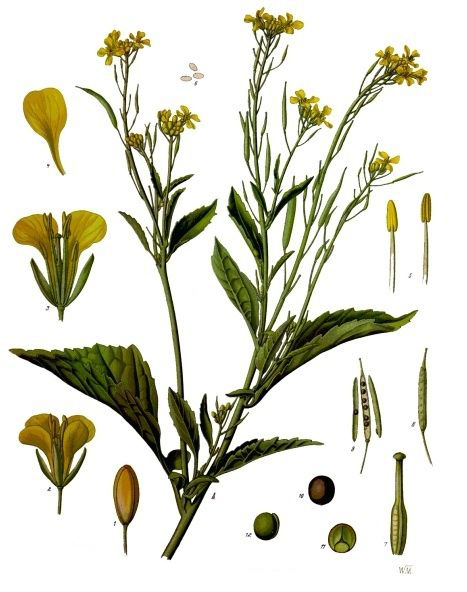 Gradually, the farming of the leafy plant distributed to several regions of the entire world as individuals got familiar with the stinky taste of mustard green within their food. These days, mustard green is utilized in foods around the world, from China to South America. In reality, the majority of the greens utilized in foods today are, in fact, the leaves of the mustard plant. 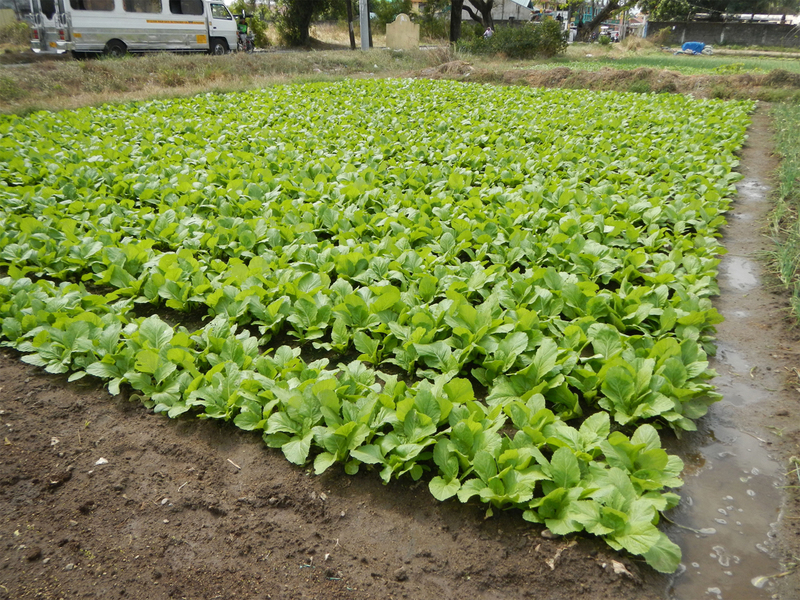 Although the Asian countries, including India, China, Japan as well as Nepal, still remain the top suppliers of mustard greens, the United States has additionally started out an organized farming of the green leaf. Today, India, Nepal, China and Japan are the leading producers of mustard greens, but a substantial amount is grown in the U.S. as well. Apart from their peppery taste, cooked mustard greens is a good source of nutrients, vitamins and minerals. Consuming 140 gram of cooked mustard green offers 829.8 µg of Vitamin K, 865 µg of Vitamin A, 35.4 mg of Vitamin C, 0.8 mg of Selenium,0.204 mg of Copper, 2.49 mg of Vitamin E, 165 mg of Calcium,1.22 mg of Iron,0.3 µg of Betaine and 0.137 mg of Vitamin B6. Like almost all leafy green vegetables, mustard greens contain antioxidants that protect your body from free radical damage. They’re also a great source of fiber, which helps to regulate your digestive tract and lower high cholesterol levels. They offer an abundant mixture of vitamins, minerals, dietary fiber as well as protein. Let’s take a look at the advantages of consuming mustard greens. Mustard greens nutrition also contains 691.50% percent of your daily value of vitamin K! Vitamin K is among the main vitamins involved in bone mineralization, blood clotting and even removes calcium from areas of the body where it shouldn’t be. Additionally, it also helps support both our brain function and healthy metabolism, and it shields us against cancer. Some studies posit that high intakes of vitamin K can stop further bone loss in people with osteoporosis. Research suggests that vitamin K is an essential nutrient for reducing inflammation and protecting cells that line blood vessels, like both veins and arteries. Vitamin K can even help to reduce PMS cramps and other menstrual pains by regulating the function of your hormones. It’s also responsible for helping to prevent and heal bruises, too. Mustard greens offer huge amounts of three powerful antioxidants: vitamin A, vitamin C and vitamin K. Also, they are an outstanding source of manganese; folate and also vitamin E. Vitamin E, C and A jointly helps to destroy free radicals, which damage the cell membranes. They also offer wonderful benefits to people struggling with asthma, heart diseases as well as menopausal symptoms. As we grow older, our mental performance commonly reduces. Research have revealed that consuming three servings of green leafy vegetables every single day might help decrease the loss of mental function simply by 40%. Mustard greens contain 123.57% of your daily value of vitamin A in one cup. Vitamin A is extremely important for eye health. To see the full spectrum of light, eye needs to produce certain pigments for the photoreceptor cells in your retina to work appropriately. Lack of vitamin A halts the production of these pigments, resulting in night blindness. An eye needs vitamin A to care other parts of your eye, including the cornea, the clear covering on the front of your eye. Without sufficient amounts of vitamin A, eyes cannot produce sufficient moisture to help keep them properly lubricated. Including organic mustard greens in your diet help to prevent cardiovascular disease. They protect against heart disease because of their high concentration of vitamin C and beta-carotene. Research conducted by the Department of Epidemiology at Harvard School of Public Health demonstrated a 4-percent lower risk of coronary heart disease as a result of taking one serving a day of organic fruits and organic vegetables. Beta-carotene found in organic mustard greens reduces the risk of death from cardiovascular disease. Mustard greens consists of 829.8 µg of Vitamin K which has been shown to be wonderful in reducing the risk of prostate, colon, stomach, nasal, and oral cancers. Research has discovered that higher doses of vitamin K helped patients with liver cancer stabilize and even improve their liver function. Research has showed that an increase in dietary intake of vitamin K is related with a reduced risk of cardiovascular, cancer, or all-cause mortality in a Mediterranean population at high cardiovascular disease risk. Vitamin a present in mustard greens helps to cut down excess sebum production, which is in fact a main reason of Acne. It also strengthens the defensive tissues of the skin, thus enhancing the overall health and liveliness of the skin surface. Vitamin A is also essential for the proper maintenance of the skin tissues and mucus membranes. It flushes out the toxins from your body and cleanses the system by virtue of its antioxidant properties. 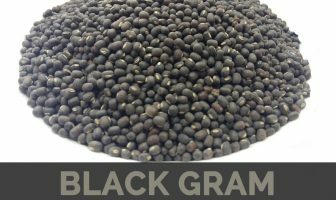 Mustard green is extremely beneficial for pregnant women because it consists of considerable amount of Vitamin K. Pregnant women suffering from vomiting and nausea is frequently due to deficient in Vitamin K. This Vitamin intake will show good results by providing relief in less than seventy two hours and preventing mild forms of these symptoms in the future. 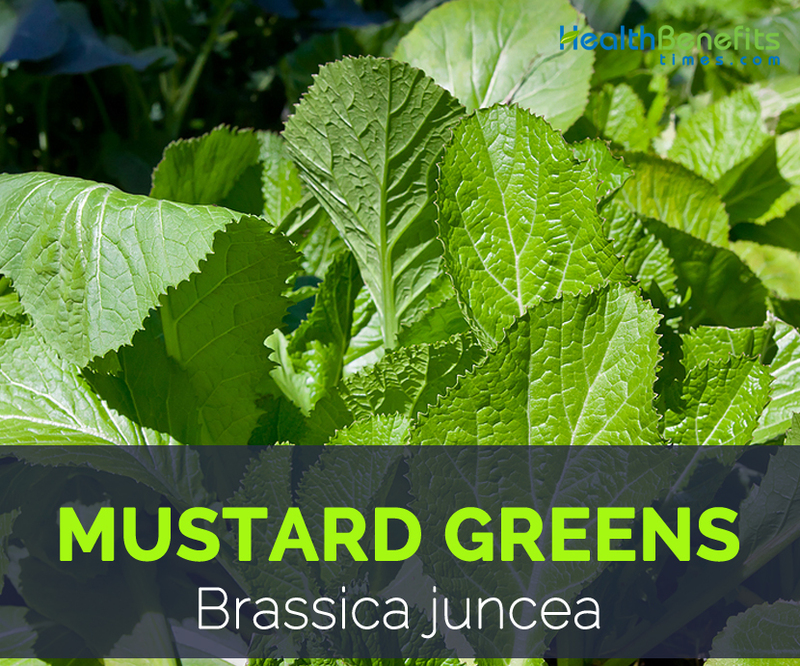 Mustard Green consists of 35.4 mg of vitamin c which is 39.33% of the daily recommended value. So vitamin C is extremely important for healthy immune system and plays an important role in body’s ability to fight off colds and viruses. Several researches has suggested that 1000 mg of Vitamin C helps to fight off an oncoming cold and 4000 mg per day to get rid of a cold that is previously in your system. Frequent use of vitamin C for colds and flu will help to reduce the risk of developing further problems, like pneumonia and lung infections. 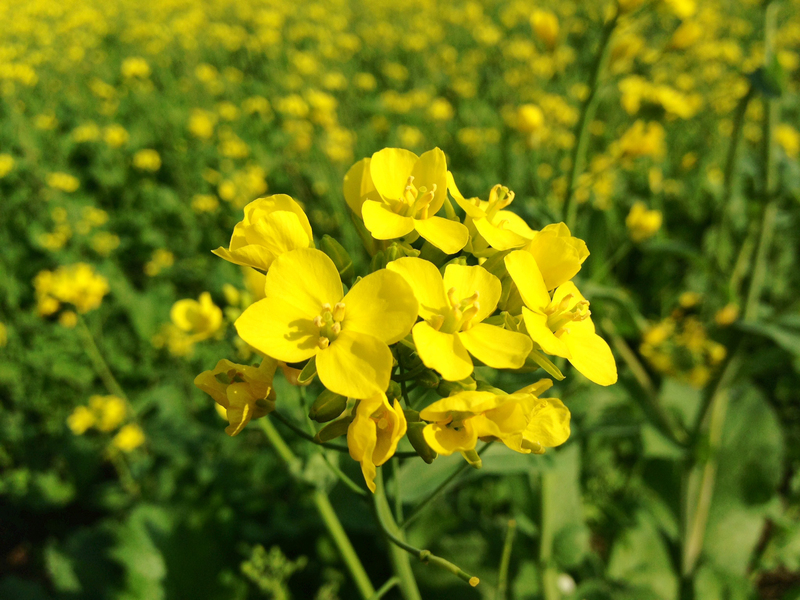 Regular consumption of Vitamin A rich mustard greens helps to prevent the formation of urinary calculi due to the formation of calcium phosphate. It helps to keep the lining of the urinary tract in shape, thus reducing the recurring chance of stones. Due to the anti-inflammatory abilities Copper help to relieve pain and stiffness allied with arthritis. It also helps with muscular strength, to reduce joint pain, and to repair connective tissue. Some people with arthritis even select to wear copper bracelets or bands simply because it’s supposed that the copper can be absorbed through the skin and can help decrease painful symptoms. Leaves, seeds, and the stem of mustard variety are edible. Gorkhas of Darjeeling and Sikkim prepare pork along with mustard greens. It is normally consumed with relish with steamed rice, but could also be eaten with chapatti. In Japanese cuisine it is recognized as takana and is often pickled and used as filling in onigiri or as a condiment. Asian mustard greens are most often stir-fried or pickled. Mustard greens can be steamed, sautéed or simmered. They are usually served as a side dish, often flavored with onion, garlic, ham, salt, pork or bacon. Young leaves are consumed raw in salads and sandwiches. In Africa, people add mustard greens to fish, like a famous meal called sarson da saag. In India, the stem of the plant is pickled. In Gorkhas of Darjeeling and Sikkim, mustard greens are eaten with relish and steamed rice, and they also eat them with grilled bread. Mustard greens are added to stir-fried dishes in Japan. Japanese also make a stew with mustard greens, tamarind (a fruit that grows from the tamarind tree), meat and dried chili peppers. It can be sautéed with garlic and a bit of oil, and then you can add salt and pepper for extra flavor. You can juice mustard greens by mixing them with an array of fruits and veggies. Mustard Leaves that are any larger must be used in Soups and Stews or Pickled. Seeds are very pungent and used to season meats and other dishes. They are generally cooked for a long period of time and flavored with ham hocks in southern cooking. Like spinach, heating of mustard green leftovers might cause transformation of nitrates to nitrites and also nitrosamines by particular bacteria which thrive on prepared nitrate-rich foods. These types of toxic substances might be bad for health. Phytate as well as dietary fiber contained in the mustard greens may possibly hinder the bioavailability of iron, magnesium and calcium. Because of its higher vitamin K content, sufferers using anti-coagulants just like warfarin ought to prevent this food because it boosts the vitamin K concentration within the blood, that is what the drugs are frequently trying to lower. This might advertently boost the effective-dose of the drug. Mustards include oxalic acid, a naturally-occurring substance present in several veggies, which might crystallize as oxalate stones within the urinary tract in certain people. Therefore, it is, individuals with known oxalate urinary tract stones are encouraged to avoid eating vegetables belong to Brassica family. Mustard greens might also consist of goitrogens, which might hinder thyroid hormone production and may result in thyroxin hormone deficiency in people with thyroid dysfunction. Mustard Greens is prepared in India in an exceedingly traditional manner. Simply the individuals of Punjab have got this as his or her main dish. They cook the sarson ka saag that is a type of curry prepared along with mustard greens only. Aside from this, they also prepare the Mustard greens is usually cooked as the Mustard Greens Dal recipe. Mustard greens are utilized to prepare healthy and delicious salads. One of several well-known kinds of mustard greens salad is definitely the Salad of Mustard greens as well as Avocado. Mustard Greens is not just included with the salad because of its nutrient benefits, but in addition mainly because it increases the attractiveness of the salad. It is just a really hot and spicy soup that is great for the people throughout the springtime as well as in summer. This kind of soup can be created possibly with vegetables or perhaps a chicken base soup. It is just a very healthy soup. The southerners are usually in love with greens. Mustard greens are probably the preferred veggie for people who live there. There are particular dishes which are prepared along with mustard greens within the south. A number of them are Turnip greens, Bea’s greens and red plum Vinaigrette along with mustard greens recipe. 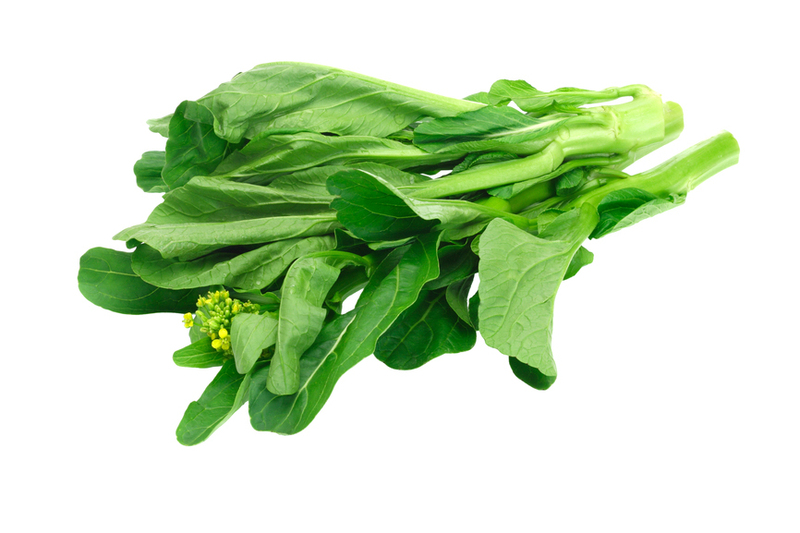 Chinese mustard greens are referred to as Gai Choi. You will discover extremely scrumptious and healthy dishes which can be cooked utilizing it. It’s really a type of mustard greens recipe. It is just a traditional way of preparation of mustard greens in the southern manner. Within this dish, the mustard greens need a long and also slow cooking time, so that it’s smoothly cooked. It features a high-content of salt and fat. This can be a scrumptious dish, mustard Greens could be pickled and it may be stored for quite a while. It features an excellent taste, which makes it best to taste for a long period. Brassica cernua (Thunb.) F.B. Forbes & Hemsl. Brassica juncea var. rugosa (Roxb.) Kitam. Rhamphospermum volgense Andrz. ex Rupr. Sinapis campestris Jacq. ex Steud. Calories 36 Kcal. Calories from Fat 5.94 Kcal. Calories 15 Kcal. Calories from Fat 2.16 Kcal.